Navigating ecommerce can be tricky and expensive. Get it right and the rewards can be enormous. 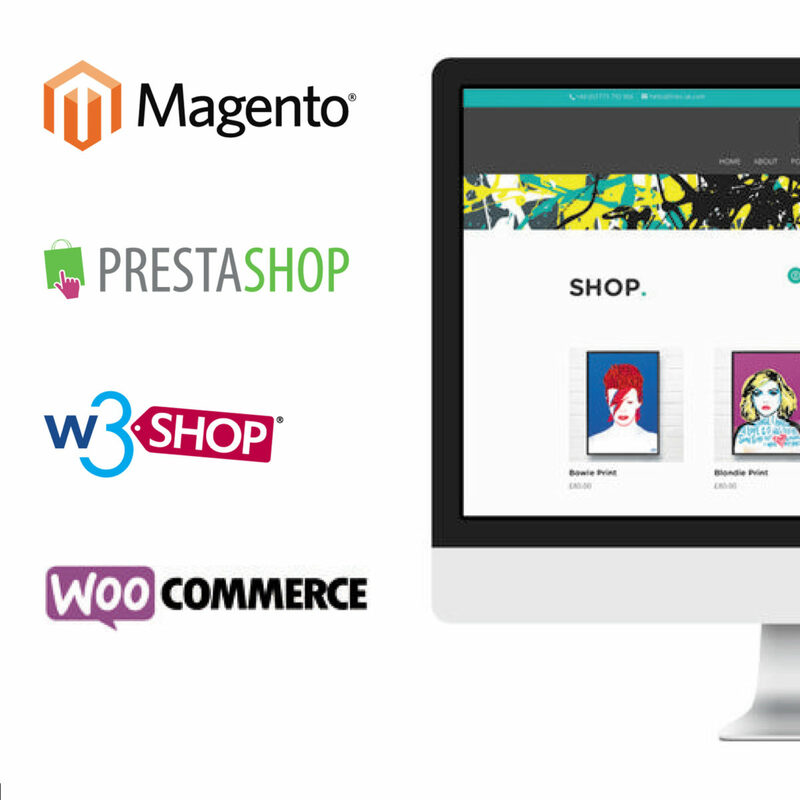 Get it wrong and you can blow a fortune For maximum flexibility, we could build a totally custom ecommerce site for you. Some of our sister brands run multi -million online businesses with sites we’ve built from scratch. You should budget £50,000 and up to get going and expect sizeable ongoing commitment. The fastest route – chosen by lots of businesses – is to start from an existi ng ecommerce platform, customise it and extend it for your needs. That’s a proven path and will get you trading online in a fracti on of the ti me, for a fracti on of the cost. Choosing the right platform is criti cal. To help us fi nd the right one for you, we’ll need to understand what else you’re doing. What accounting package do you use? Which carrier do you ship products with? Talk to us about your plans and we’ll put together a proposal.